ALLEGRA BOVERMAN/Staff photographer. Gloucester Daily Times. 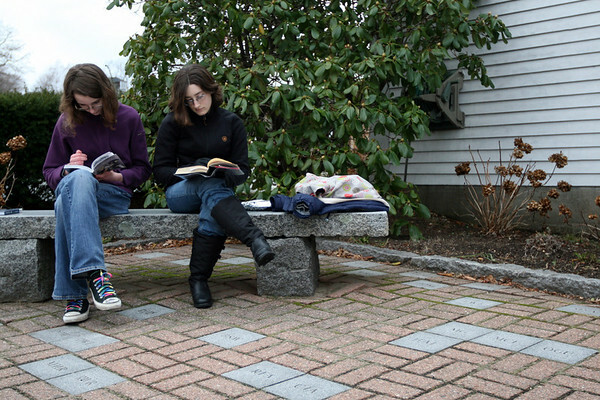 Rockport: From left, Lydia Vincent, 14, and Soni Razdan, 15, both of Rockport, read books while waiting for a friend participating in an activity at St. Mary’s Episcopal Church in downtown Rockport on Tuesday afternoon. They were waiting to give her a plate full of cupcakes.